In this study our aim was to compare efficacy and toxicity profiles of two different schedule of carboplatin-paclitaxel regimen in elderly advanced non-small cell lung cancer (NSCLC) patients. Data from the charts of 59 elderly patients with metastatic NSCLC, treated with weekly paclitaxel combined with two different schedule of carboplatin were collected retrospectively from three medical oncology centers in Turkey between September 2002 to March 2018. No prior systemic therapy or radiotherapy was allowed. Brain metastases were not considered as exclusion criteria unless symptomatic. Patients were analyzed in two treatment groups; CP3 (who received 3 weekly carboplatin and weekly paclitaxel), and CP1 (weekly carboplatin and weekly paclitaxel). Overall survival (OS) was the primary endpoint of the study. 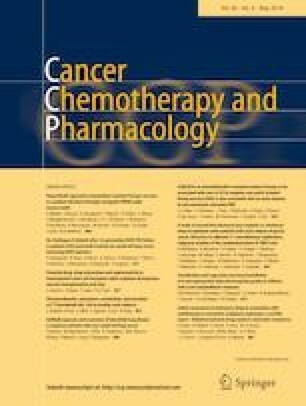 Secondary end points were as follows: progression free survival (PFS), response rates (RR), grade 3–4 toxicities, skipped cycles, dose reductions, and treatment discontinuation rates. Twenty-four patients received 3 weekly carboplatin and weekly paclitaxel schedule (CP3) while weekly carboplatin and weekly paclitaxel schedule (CP1) was performed in 35 patients. CP3 had a median OS of 14 months whereas CP1 had 9 months of median OS (p = 0.084). Both treatments (CP3 vs CP1) had similar median PFS (7 months vs 4 months, p = 0.109) and objective RR (20.9% vs 29.4%, p = 0.465). There was an increased incidence of grade 3–4 anemia and grade 3–4 neutropenia in CP3 compared to CP1 (p = 0.003 in both), but no major differences in febrile neutropenia and infection toxicity profiles (p = 0.289 and p = 0.770, respectively). Weekly schedule (CP1) had a tendency of increased grade 3–4 neurotoxicity (33.3% vs 42.9%, p = 0.461). Weekly carboplatin and paclitaxel might be more tolerable and is as effective as 3 weekly carboplatin and weekly paclitaxel schedule in metastatic elderly NSCLC patients.